What can you tell us about how this particular production has been researched and developed? There was initially some talk of doing it in New York, but The American Clock’s production history is that it was always popular in the UK, possibly more popular than it has been in the United States, and so it’s great to be mounting the production in London. After the play’s initial production at the Spoleto Festival, the show transferred to Broadway in 1980 and did not run for very long, closing soon after it opened. In 1986 it was much more successful at the National Theatre. 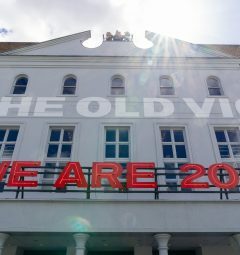 After the show closed on Broadway Arthur Miller took some time to rewrite and reconsider before it opened at the National Theatre and that’s when A Vaudeville was added to the title. Arthur Miller intentionally increased the Brechtian elements – the sense that the play is self-aware of its performativity. 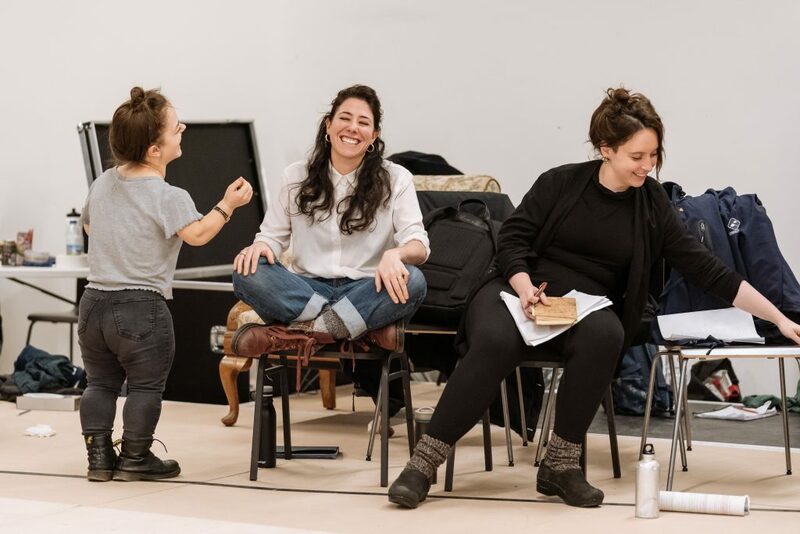 Rachel Chavkin (Director) has been working closely with Arthur Miller estate – it’s a radically changed version with the three versions of the family, but it has all been done with the Miller Estate’s blessing. This is interesting because it links with the very American sense of continually revising who we think is the hero or protagonist of any story. The injection of this on-going conversation alongside the theatricality of the DJ and contemporary music is, in our eyes, a fuller expression of the play as intended by Miller. 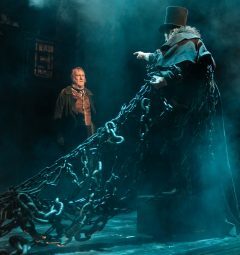 This production goes even further into going into the vaudeville aspect, and engaging with the people with whom it’s communicating – in this case, the audience in London in 2019. 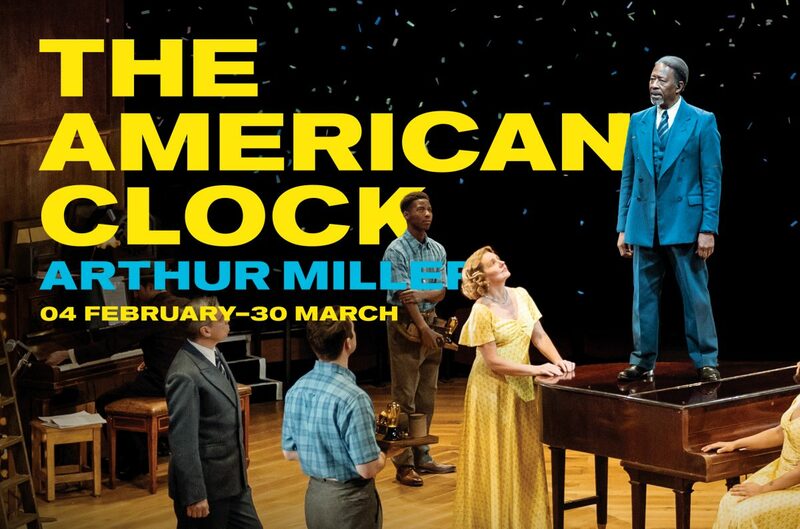 There seem to be a lot of Arthur Miller plays being mounted this year, particularly in London. Do you think there’s a specific reason why he remains so popular? That’s an interesting question! Miller’s plays have always been popular and possibly even more so in the UK than in the US. We’re at a moment in history when we’re thinking about nations, and thinking about the hypocrisy of how systems have run. In particular we could examine the wild speculation of the American market, and we’re also engaged in the MAGA question – the current idea of Make America Great Again. We’re asking, ‘what is this great, nostalgic America that we should supposedly be thinking about?’ Miller’s work is often philosophically playful and that’s something we sometimes forget – it’s not all kitchen sink realism! 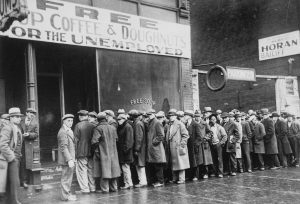 There’s a line that Robertson has in The American Clock when he’s speaking about the breadlines that he’s seeing from his Riverside Drive apartment. He lives on a glamorous thoroughfare but he describes the view as ‘Calcutta on the Hudson’ . It’s a vision of vast poverty. His rumination on that is that every society has a clock running on it and the question becomes ‘when does time run out on society’s idea of itself’ ? That clock is still running in America and the foreboding questions that Miller was asking are unresolved to this day. How do we look after the people who are unable to look after themselves? Music is key to this production. How has music been incorporated into the show? We’ve been working extremely closely with Musical Director Jim Henson and our composer Justin Ellington and Sound Designer Darron L West. They’ve been in the rehearsal studio every day which is unusual but a great asset. Music will be very present throughout – there’s a scoring that’s happening underneath the scenes as well as the big numbers. For example there might be an electric beat, whines, pulses – psychological sounds – as well as the 1930s standards. With those numbers included, there’s almost a musical theatre quality to the play. We’ve spent a significant proportion of rehearsal time on movement – there are currently three big movement sequences so far. One is a big Wall Street series of gestures where we create the landscape of capitalism. There’s also a Busby Berkeley style dance (Berkeley was a movie musical choreographer and is famous for shows such as 42nd Street). This number is staged with an eye to irony – the false plastic mask of happiness of the time. Another sequence is the marathon dance – largely inspired by the film starring Jane Fonda – They Shoot Horses Don’t They? These dance marathons were brutal and there was a strong level of spectatorship and showiness. A lot of the movement that we’ve included is authentic swing and we’ve been working with Michael who is a swing specialist, but the way it’s intercut into other movement is quite contemporary. What’s your favourite moment in the play? It changes fairly often, but recently it’s been the scene between Lee and Rose in which we get to see the son taking care of the mother. It has a lot to say about the way the generations interact – it’s the moment when Lee and Rose make peace with the idea that Lee won’t be able to go to college that year. You see it in the writing and the staging that there’s this spotlight on the character of Rose – the proxy for Miller’s own mother. Lee is stepping outside the frame to tenderly observe the journey that she’s on. This scene has a lot to say about what the younger generation needs to do to help, but in the context of a scene which is domestic and intimate in its setting.